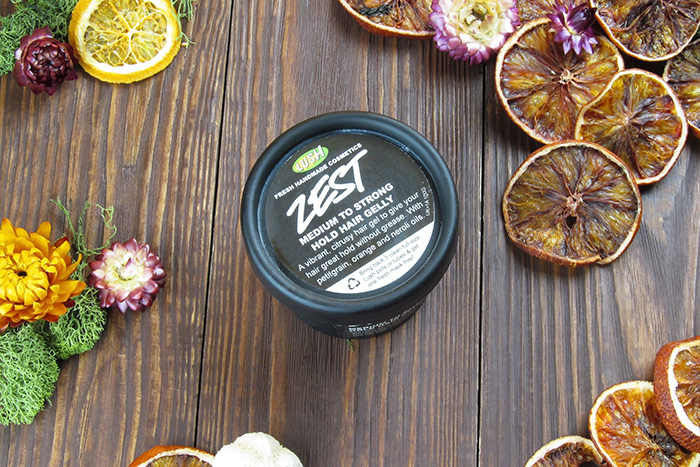 Zest hair gelly by LUSH. Discovered it nearly a year ago when I first came across LUSH Latvia team and got to test a couple of British beauty giant's products. If you haven't seen the story where I discussed all those amazing goodies yet, then head over to LUSH-OUUU-LICIOUS and reveal it all right now (prior moving on with this story or straight after). The Zest hair gelly was among that set of products I had to try, still back then I couldn't figure out how to use it in my case. In reality it took me half a year to figure out how to apply the gelly to my hair. The reason it took me that long to understand the hidden secret of it lies, first of all, in a fact that I was not quite used to hair styling products such as gels, wax and so on. I did try some of those hair styling products before, though it never seemed to work for me. Secondly, at the beginning I was a little bit deterred by the smell of Zest gelly, as it seemed to be pretty strong and tart. 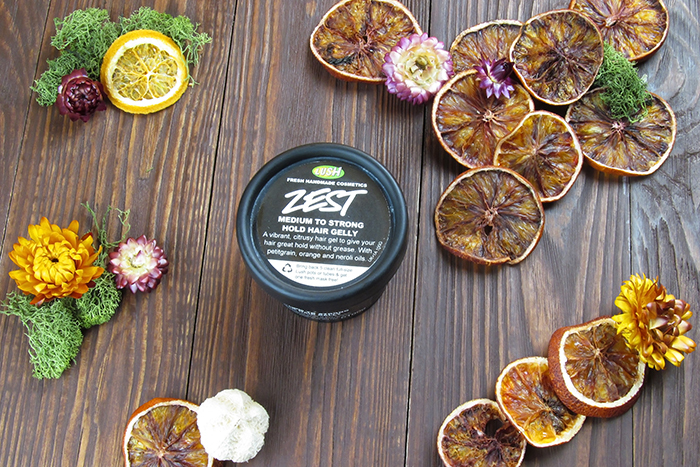 The smell by the way is created by a combination of petitgrain, orange and neroli oils. So, as I said above, it took me quite some time to re-discover the magic use of this gelly. It was the New Year's Eve look (i. e. Dark Blue Suit for the Eve story) when I had to master my sleek hairstyle. And I did achieve my goal. All thanks to the Zest miracle hair gelly. Since then it became my biggest assistant in cases I need a perfect hair flow or when doing any kind of hairstyles. What I think of its smell right now? I guess I got used to it. 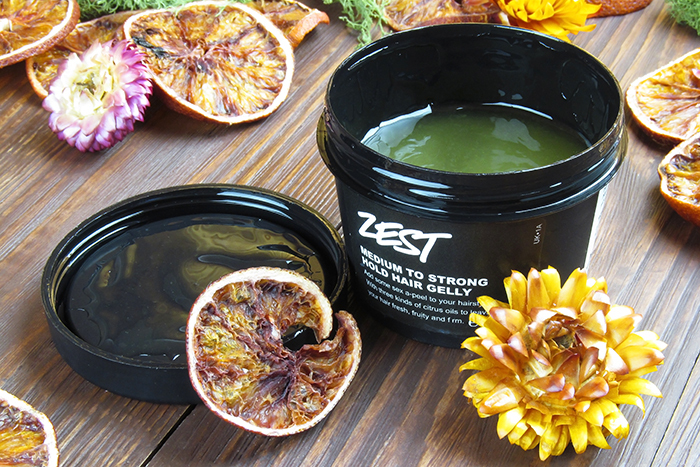 And have to say that such a strong smell of Zest only adds an exotic twist to an overall appearance. On the smell level, of course. Do totally recommend it to those who are addicted to hair styling products. It's an irreplaceable assistant. Despite the fact that it's pretty liquid-y and might leave sticky feeling, you simply use it merely and no single soul will realize you used something to style your hair. If you aren't that much addicted to all the styling products, but still use a few and smell is what matters to you, then have a go with this LUSH gelly. 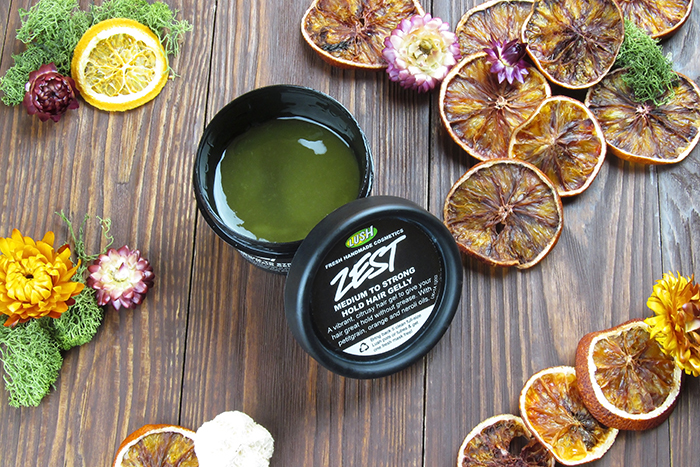 In general, it doesn't matter if you are a styling-addicted person or not that much, once you try it, you won't be able to 'jump off' the Zest by LUSH.